Impactful leadership requires easy access to accurate data about business and team health. My wife and I found a lamp broken in our house a couple of months back. It was nothing particularly valuable, but the scene of the crime was littered with the telltale signs my two boys leave behind when they’ve been roughhousing. Instinctively, I isolated my persons of interest for questioning. My oldest son told a semi-plausible story that pinned the broken lamp on the family dog. I wasn’t convinced, but stranger things have happened. My youngest (and more imaginative son) told me a meandering tale that, at times, involved both space aliens and ghosts. He held his hands in front of his eyes as he spoke and peeked out through his fingers, studying my face for signs that I was buying it. My kids made a common mistake: They weren’t able to agree on the truth, or at least the version of the truth they wanted to tell me. It’s not a surprising that young kids would make that mistake. However, you’d be shocked at how many versions of the truth exist in the modern enterprise, and how many major decisions are made by business leaders working with old data, contradicting estimates, and/or incomplete information. Too many companies and teams have a deficit of the truth, or at least a problem with its availability. Conversations, files, and decisions are increasingly spread across emails, employee desktops, and endless folders on internal networks. In a recent study conducted by Atomik Research, only 23 percent of managers and 14 percent of non-managers strongly agree that their organization has a Single-Source-of-Truth in place. It’s hardly a small problem. In one estimate, a business with 100 employees spends an average downtime of 17 hours a week clarifying communication, which is equal to an annual cost of $528,443. It’s high time for the Single-Source-of-Truth to become the norm in businesses. As work becomes more digital, it’s critical that workers are able to find the information they need to execute work, and that leadership can accurately and easily understand the health of their business. To understand the nature of digital fragmentation, it helps to revisit the time before the age of mobile devices. Back then, workers would be on their computers, save files locally, or maybe to a network administered by their IT department. If someone needed to collaborate on a file, they would attach it to an email, and spend the following days sending it back and forth with colleagues, carefully renaming the file to help identify who made the last change and when (a sad attempt at version control). But if someone who needed the file wasn’t copied on the email, they wouldn’t have had access, and possibly wouldn’t have known it existed. The cloud changed this, bringing greater collaboration to teams and making it easier to have structured conversations. But the proliferation of cloud applications that began with the rise of mobile and the consumerization of IT (called Bring Your Own App or BYOA) created a new challenge: Teamwork became dispersed across too many systems. In a survey from Harmon.ie, workers said they use an average of 9.39 apps at work. That means that a worker needs to aggregate information from nearly 10 different systems to get a complete picture of the status of their work. Furthermore, if information in any given systems is outdated or inaccurate, the “truth” on which to base a project or assignment may be impossible to find. For some digital workers, “standardization” may sound like a dirty word. Digital work is creative in nature and requires flexibility and critical thinking to overcome obstacles. But standardization of process is different than standardization of product, and for digital teams, standardizing processes is the secret ingredient for creating a team that’s all on the same page. By using templates for various types of projects, managers and contributors can stay in sync on the progress of any project. And with visual indicators for the progress of each task - kanban boards for example - a quick glance can reassure a team that work is on track or tell them what is delayed and why. If these templates also contain information about assignments and scope of work, then the “searching for information” aspect of work can be significantly reduced, in favor of fast, accurate visibility. The other benefit of using templates for work is their ability to increase team capacity while ensuring a consistent level of quality. For example, a creative team that templatizes the process for designing emails or web pages (not necessarily the pages themselves, but the steps that go into a building a page) can work with confidence, knowing they won’t forget critical steps in the QA process, and that elements like copy, images, and other details are all delivered on time by stakeholders. This is critical for growth on teams with limited resources and high volumes of work. The rise of BYOA led to the fragmentation of teamwork into too many systems to track. Consolidation and integration is the way to reign in these problems. Team leaders should work with their contributors to eliminate redundant solutions in favor of a single tool that the team will use for each project and individual task. For example, a team that’s using Slack, GChat, and WhatsApp for messaging should pick one and stick with it. In your selection process, you should consider the ability of apps to integrate with each other to ensure updates will sync. This is a form of automation that has practical value for workers every day by reducing the amount of time they need to aggregate project updates from multiple sources. Today, thanks to tools like Azuqua and Zapier, you don’t even need a developer to build a Single-Source-of-Truth with automation. Easy WYSIWYG editors can be used to connect apps to one another, allowing information to be found quickly by anyone who needs it. It’s true that I’m obsessed with productivity, but this isn’t just the margin-minded CEO in me talking; it’s also the husband and father. In a survey conducted by Wrike, 52 percent of respondents said “missing information” was one of their top sources of stress in the workplace. If you’ve ever stayed at the office late trying to put together a report, you can probably relate. It’s true that time is money, but more importantly, it’s our lives. The research continues to show that Americans are struggling to find work/life balance, taking fewer vacation days, and finding it hard to disconnect from work outside of the office. 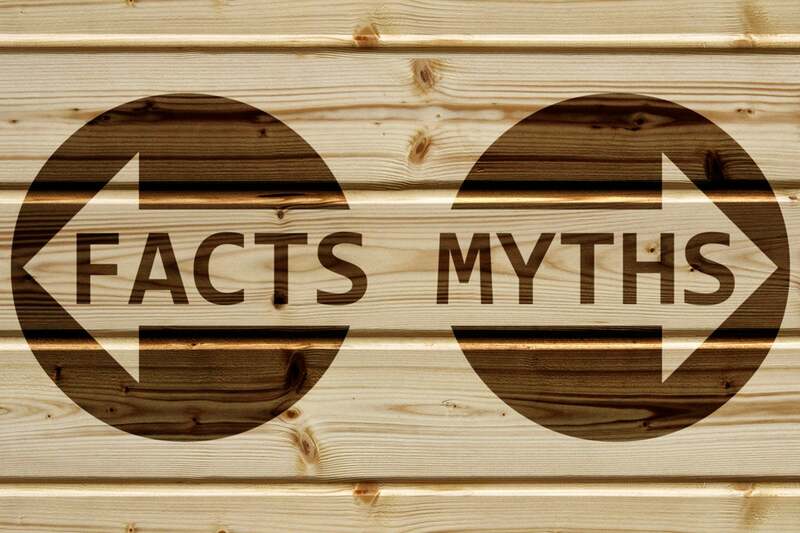 If you don’t believe me that a Single-Source-of-Truth can increase your company’s profitability, then consider how it can help your workforce make the best use of their workday so they can make it home to their families. As a dad of two boys, I know first-hand that a little extra parental supervision isn’t a bad thing. Andrew Filev is the founder and CEO of Wrike, a cloud-based work management platform that helps teams and organizations be more productive. Launched in 2006, Wrike now helps more than 15,000 companies in 130 countries get work done.